Recurring, migraine-like headaches are among the most widely reported symptoms of temporomandibular joint disorder (TMJ or TMD). But these headaches are typically accompanied by other indicators, many of which may seem vague and lead patients to believe they are suffering from a toothache, arthritis pain, sinus ailment or other condition. Hayward dentist Dr. Gary G. Fong has extensive experience in the diagnosis of TMJ/TMD, and he has helped numerous patients find lasting relief from the painful effects of this common condition. Please call 510-582-8727 to schedule your TMJ consultation; Dr. Fong welcomes patients from Hayward and the surrounding Castro Valley, San Leandro and Union City, California, areas. Individually, each of these symptoms may be associated with other conditions, which is why TMJ/TMD often goes unreported by patients and untreated by general physicians who lack knowledge of neuromuscular dentistry. For additional information, please see our TMJ Treatment page. If you experience chronic headaches that have otherwise defied diagnosis, please contact Dr. Gary G. Fong today to schedule your TMJ/TMD consultation. 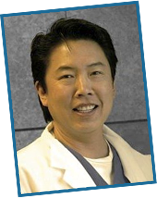 Dr. Fong welcomes patients from the greater Hayward, Castro Valley, San Leandro and Union City areas.